The main goal of search engine optimisation techniques is to increase organic search traffic to your website. One of the oldest and most reliable ways to do this is through backlinking. This type of link building is where you increase links back to your website from other online sources. Google uses backlinks as a ranking factor. If someone provides a backlink to your site, this is generally because they like and endorse your content. 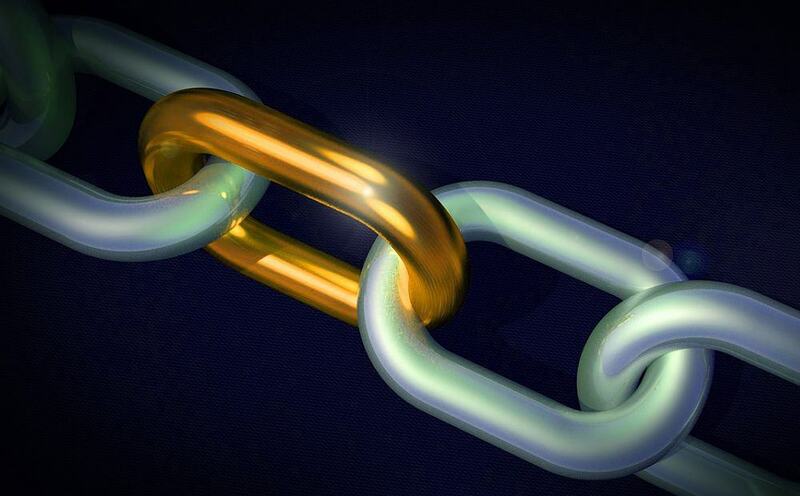 The quality and number of links back to your business website have a bearing on how it ranks in the search engines. Especially important is the authority and relevance of the website linking to yours… If it is a big authoritative website that is relevant to your industry or niche, it can have a huge impact on how the search engines rank your site. Conversely, if you have lots of backlinks from poor quality, spammy or irrelevant sites, then it will probably have a negligible effect, and may even harm your rankings. DoFollow links are important to your website. In basic terms, it tells the search engines to acknowledge the link, or in other words, the source website where the link exists endorses the website it is linking to. As such, page rank or link juice flows to the destination website, and receives a benefit from this. Therefore, it is generally a good idea to try to get DoFollow backlinks from high authority websites, preferably in your niche.This gives your site more authority in the online world and can help its rankings. A NoFollow link is where the search engines do not acknowledge the link. Another way to look at this is that the source website does not really endorse the destination website. As such, link juice does not flow through to the destination, so the links are not as powerful. This means that NoFollow links don’t help as much with ranking your website. However, NoFollow links are still an important, as they are part of a natural backlink profile. If you have 100’s of DoFollow links, but zero NoFollow links, this does not look natural and may raise red flags to the search engines. They also broaden your reach and work to drive traffic to your site, even if not so much from the search engines. You can read more about Google’s view of Nofollow links here. NoFollow links are generally easier to get. You can get these from directories, forums, blog comments, etc. We will discuss this in more detail below. There is no tag for the DoFollow link, so a link without this tag defaults to DoFollow. 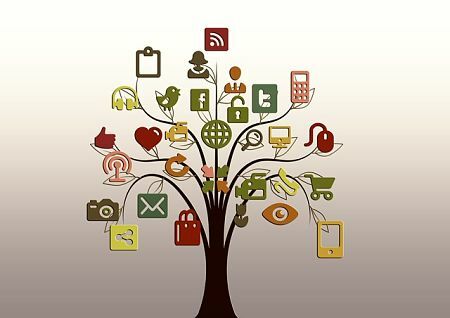 Social media platforms are great places to build backlinks as well as increase your exposure. Each method is effective and takes some time to do. However, the benefits to your website ranking will be worth the effort. This is one of the easier backlinking strategies you can utilise. For a small business owner, this is probably the most sensible ‘starter’ for link building. A citation is essentially a mention of your business name on another website. Some include backlinking and some do not. The best part about local citations is that not only are you adding your business to an online searchable directory, you can often do it for free. And many business directories rank very well in the search engines, so even if the link does not help your ranking, people can still see your business in these directories. With more and more people relying on handheld devices to find what they are looking for when they are out and about, citations are a good place to gain exposure. The various social media platforms available to you are great places to build backlinks as well as increase your exposure. You can choose from many different streams but the most common ones are still your best bet. They include Facebook, Twitter, Instagram, and YouTube. Social media can really help with traffic to your website through posts with direct links. Scheduling programs such as Hootsuite allow you to pre-program posts for your social media platforms. Niche specific directory backlinks are valuable for reaching people who are already looking for your product or service. A couple of examples include Health Engine and Whitecoat. Because these directories are topic-related, they can generate targeted traffic to your website. Although this is considered by many as an old-fashioned way to spread the word about a new product or feature, it still gets the job done. There are several different press release websites always looking for new content to share with followers. You can build backlinks easily here and get a lot of exposure. A well-written press release can easily be snapped up by bloggers and journalists. The best way to use press releases is to promote a new service or product with a backlink to your site for further information. For many small business website owners, this is where the real gold can be found for backlinking. Having an opportunity to guest post on a relevant niche site with a high ranking is good for your website. Often the links are DoFollow, which makes it a very attractive option. Posting your article on another person’s website also exposes you to a brand new audience that you can draw from. But you need to find where you can guest post first. for example. There are many different searches like this you can do to search for opportunities. You will probably have to make contact several bloggers before landing one. It’s all about the numbers. However, perseverance will lead to more guest opportunities. Quite often the website owner will have strict guidelines for content to go on their website, so make sure that you adhere to this for the best chances of getting a good backlink. For blog commenting to be effective and earn you the kind of organic traffic you are looking for, you should stick to niche-specific blogs. Once you find some that are relevant to your website product or service, you are on your way. You can post blog comments that answer a question, offer a different opinion or whatever fits with the theme of the post you are commenting on. Just make it as useful as possible; otherwise, there is a good chance that the website owner will not approve it. The idea is to draw attention to your website in a subtle manner with a legitimate comment that includes your backlink. Because blog comments are so easy, there is not a huge benefit from doing this. But every little bit helps. A variation on the directory listing backlink is this one where a resource page specific to your niche has a recommended links page. The value of this kind of backlink can be very good as the original source site is generally related to your site. for example. There may be some false positives in this search, but just spend some time looking through and you may find some good candidates. These are not easy backlinks to get so expect to spend some time pitching your website as a valuable complement to the rest already listed. One tip that may help is that if your competitor is listed, you have some leverage in saying you should also be listed – especially if your website is better. Here is another easy way to build a backlink to your website. If you are a product user of any kind, search out their websites. For brand name products their websites will be high ranking and may welcome feedback from their customer base. This will be your opportunity. By writing a testimonial, provided you are actually a user of their product, you will be providing them with something worthy of posting online. Often in exchange for posting your rave about a product you can get a backlink. A good backlinking strategy is important to your website ranking well in the search engines, which leads to increased traffic to your website and lead generation. However, it is only one of many different SEO strategies that can be implemented for best results. Backlinking does take time and effort – if it was easy everyone would be doing it and would be getting great results. Start with some of the more basic techniques outlined here which will broaden your reach in the online world. And over time, you should start to see improvements in your search engine results.